The Microsoft co-founder and billionaire philanthropist’s choices for the healthcare innovations that have the potential to change the world range from personalized cancer vaccines to voice assistants. 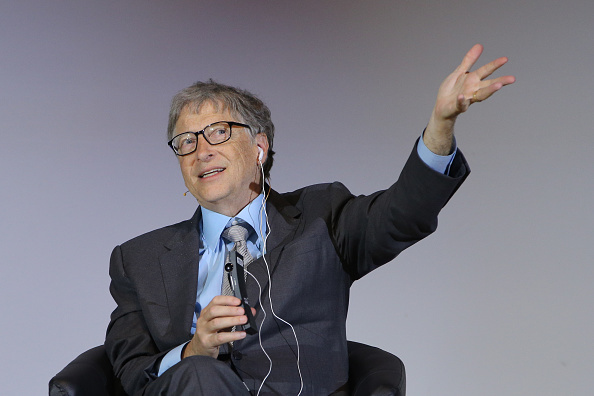 Healthcare Technologies-The MIT Technology Review’s enlisted Microsoft co-founder and billionaire philanthropist Bill Gates to help create its list of 10 Breakthrough Technologies for 2019 for its March/April issue and half were healthcare focused. That’s not so much of a surprise for a person who’s post-Microsoft activities have focused on improving health in developing world through initiatives in global sanitation and infectious diseases. Gates also invested $50 million in the Dementia Discovery Fund, a venture capital fund seeking to create treatments for dementia. “Fifty years ago, there were very few middle-income countries. Then there’s the ability of science to solve problems. In heart disease and cancer we’ve made a lot of progress; in some of the more chronic diseases like depression and diabetes … Even in obesity, we’re gaining some fundamental understandings of the microbiome and the signaling mechanisms involved,” Gates said in an interviewwith MIT Tech Review Editor Gideon Lichfield. Gut diseases like environmental enteric dysfunction – which creates chronic intestinal inflammation – leaves people malnourished and physically underdeveloped, especially for children in resource-poor regions. The condition is difficult to diagnose and treat, but a new invention from Massachusetts General Hospital pathologist Guillermo Tearney could make it easier. Tearney has developed a swallowable probe which can image and biopsy the gut without requiring anesthesia. Medicine continues to move towards a personalized approach to treating cancer which takes into account the unique genetic makeup and situation of the patient and their tumorous cells. German biotech company BioNTech has partnered with Genentech on mRNA based therapies which can reprogram the body to attack cancerous cells and manufacture these individualized treatment at scale.